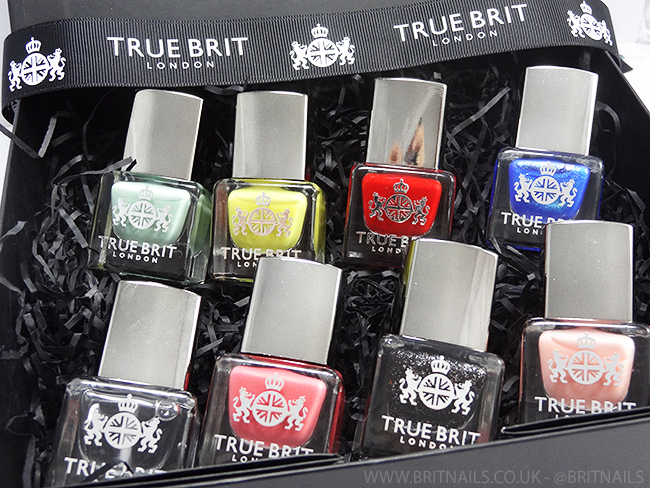 My polishes arrived in a sleek black magnetic box, adorned with True Brit London ribbon with the polishes safely nestled amongst shredded paper. I'm a sucker for branded packaging! I was sent 6 colours plus a top coat and base coat. Gloss Top Coat is quite a thick one, it has a plumping effect and isn't quick dry, but is perfect if you want a super glossy finish. Caviar Base Coat is a creamy pink base that dries clear and filled my ridges pretty well, even though it's not advertised as a ridge filler. Really loved the base coat, actually! Chelsea is a bright blue shimmer with teeny tiny glassflecks. "Blended with soft pearls" according to the website! Beautifully shimmery in real life. I used 3 thin coats plus gloss top coat but you could get away with 2 thick ones. The cremes here have a great formula and I love the glitter I tried, it's just a shame it needed thinning out before use! 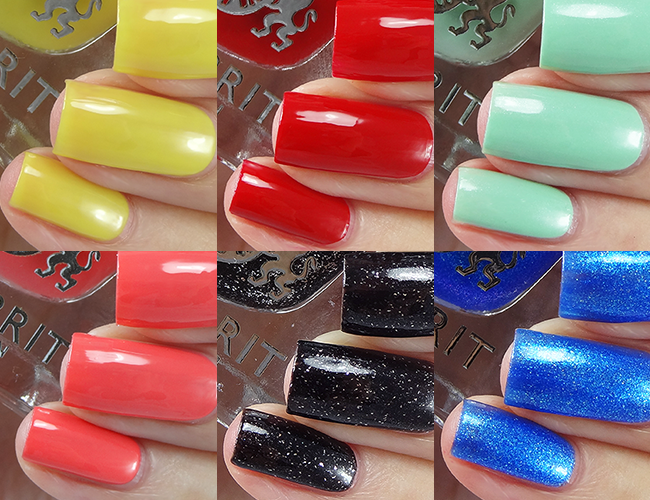 True Brit London have some lovely looking collections including English Rose and Contemporary, let me know what you think! I've never heard of this brand before! The bottles look nice, but I can't find how much ml are in them? They look like minis? I really love Minted on you! 10ml so not mini! Adding that to the post now! This is such a gorgeous collection of polishes, I love Shoreditch! I gotta agree with you: appealing, pretty packaging is just the best! 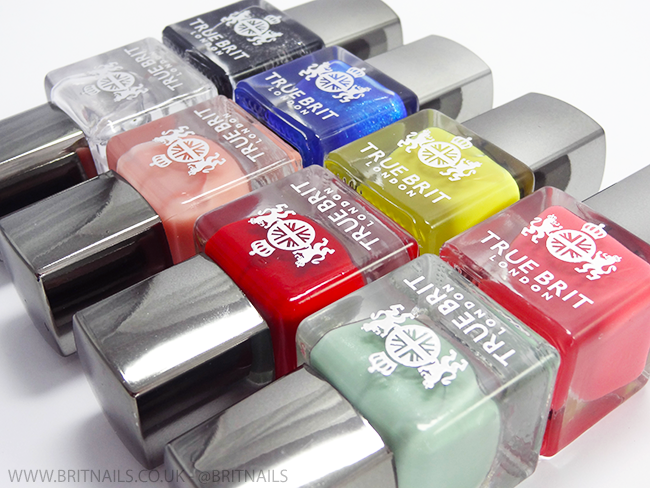 Loved Rule Britannia, Mint and Covent Garden are my favourite from the bunch. Love how it's packaged up like a gift box, it would feel like such a treat getting that in the mail! 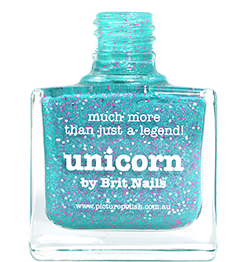 Minted looks utterly fabulous on you, as does Golly Gosh - but I agree, 4 coats is a bit of a deal breaker. This brand is new to me too, but they have some very nice colours here, and the packaging is quite unique! I love Minted and Shoreditch. I love the packaging. I get so excited for well packed polishes! They're all really lovely, and I really like that yellow but such a shame about four coats. You make four coats look so good though! I love Chelsea. It's lively and original. I'll get this at some stage.